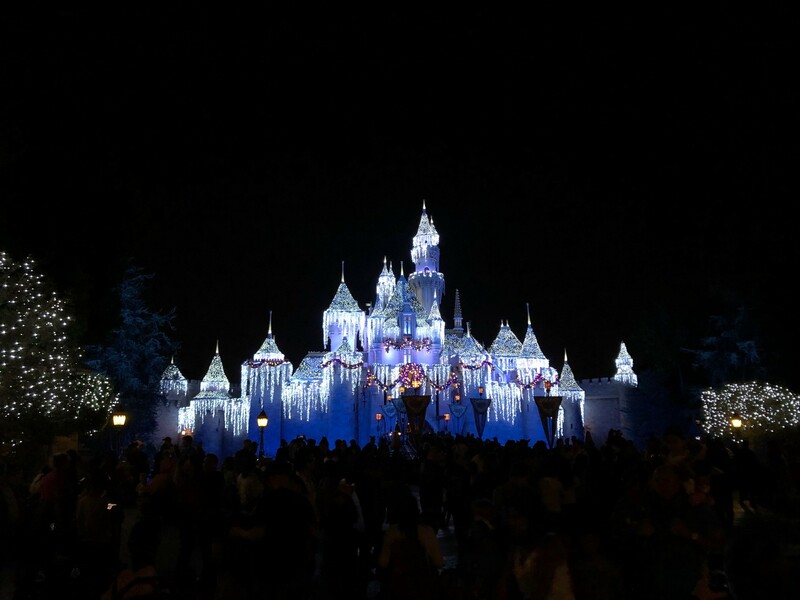 Snow has fallen on Sleeping Beauty’s castle and the parks are decorated for the holidays! 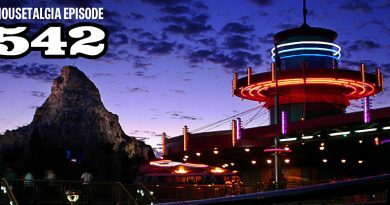 Experience overlays of popular attractions at both parks. At Disneyland Park, Jack Skellington and friends have still taken over The Haunted Mansion so if you missed it during the Halloween season there is still plenty of time to experience the whimsical Tim Burton spin on the classical ride. 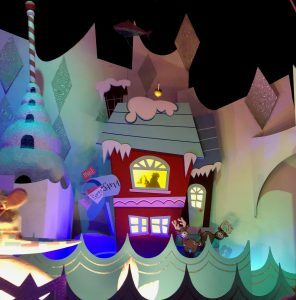 “it’s a Small World” is also decorated for the holidays. 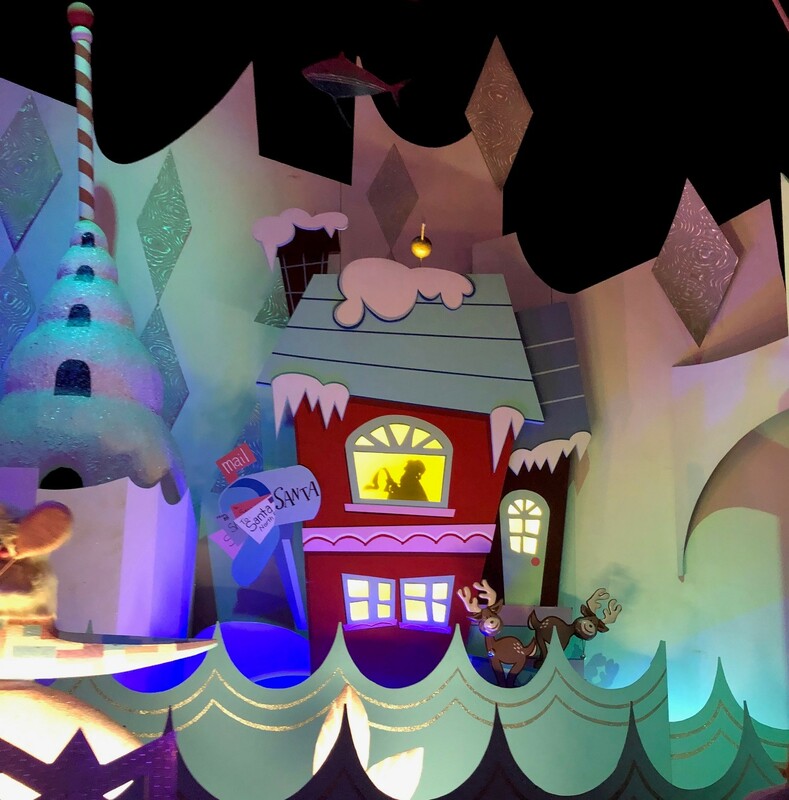 Enjoy the joyful melodious voices singing holiday tunes as you lazily float through the various locales. 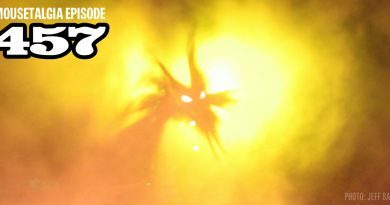 If exiting the ride at night, take a moment to admire the façade of the ride. It is beautifully decorated for the season with an abundance of lights and if you will be rewarded with a spectacular view. 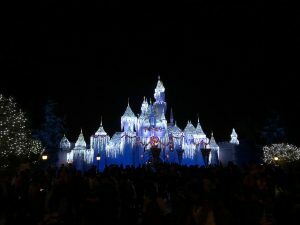 A Christmas Fantasy Parade at Disneyland Park is a must-see and really gets you into the feeling of the holiday season. Be sure to wave at Santa Clause riding in his present filled sleigh as he closes out the end of the parade. 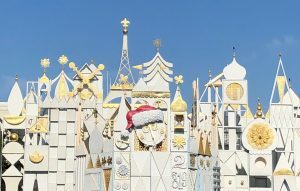 Over at DCA, Cars Land is looking very festive! The walkway is adorned boughs of pine, holiday lights, and tire wreaths. 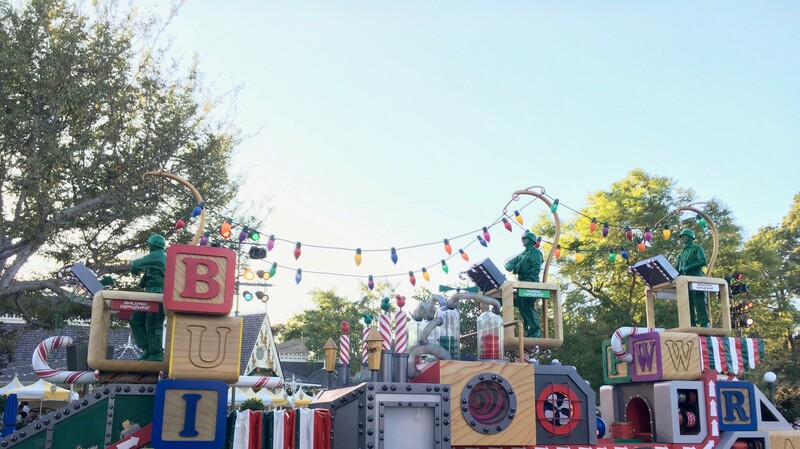 Mater’s Junkyard Jamboree has been transformed into Mater’s Jingle Jamboree and Luigi’s Rollickin’ Roadsters morphs into Luigi’s Joy to the Whirl. This area is a must-see and offers plenty of fun photo opportunities. 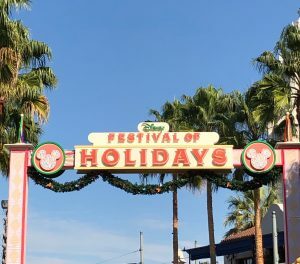 Disney Festival of Holidays brings ample opportunities to try many unique food offerings. The Festival Foods Marketplace kiosks line the walkways leading from Carthay Circle Restaurant to Wine Country Trattoria. In my opinion the cuisines catered towards the more adventurous eater and included some unusual pairings and mash-ups such as lox-and-everything-bagel nachos and holiday stuffing mac & cheese. 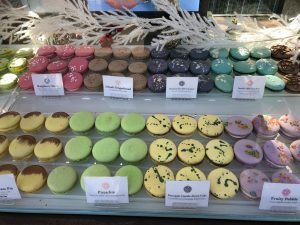 I definitely wasn’t brave enough to try those items, but I WAS drawn to the French macaron cart! Now those are something that can’t be passed up! 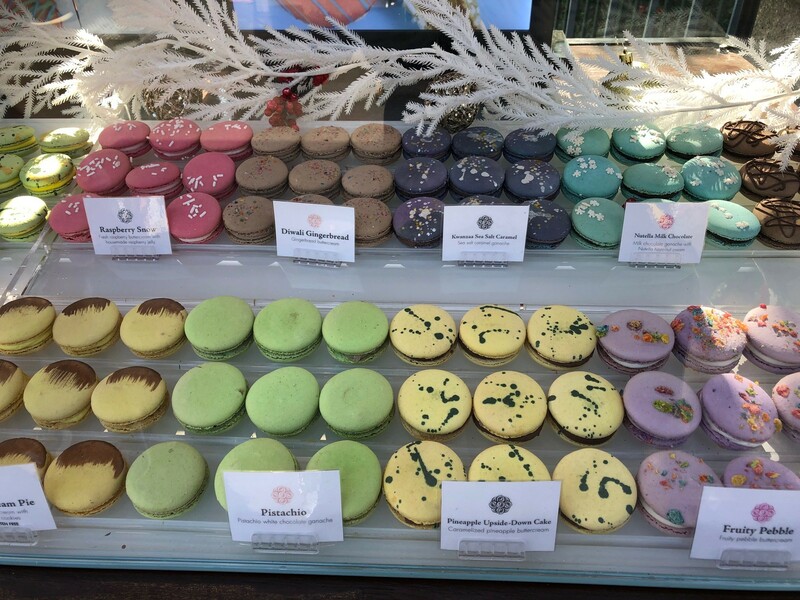 This kiosk offered the most beautifully decorated macarons with delicious flavors: Kwanzaa Sea Salt Caramel (sea salt caramel ganache), Diwali Gingerbread (gingerbread buttercream), Nutella Milk Chocolate (milk chocolate ganache with Nutella hazelnut cream) just to name a few. My favorite was the Christmas Snowman (classic vanilla custard cream with milk chocolate ganache) that was decorated with a pastel scarf and almost too cute to eat— well, almost! Kids and adults alike can visit Santa Clause and his merry making elves through December 24th at DCA in the Redwood Creek Challenge Trail area. 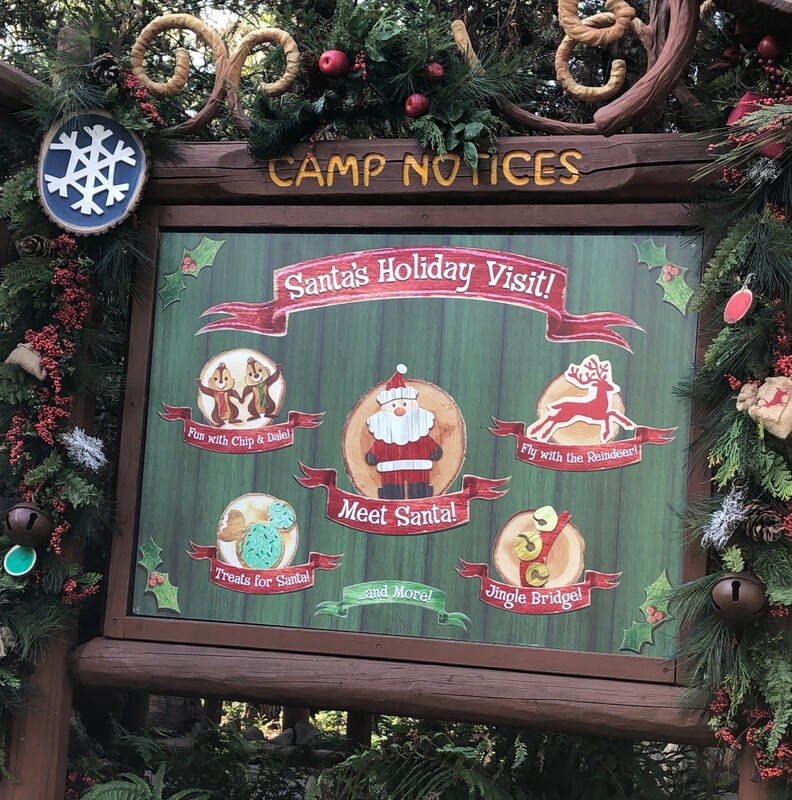 The area is decorated in a whimsical woodland theme for the holidays and kids will get a kick out of signing their name on Santa’s “nice” list. 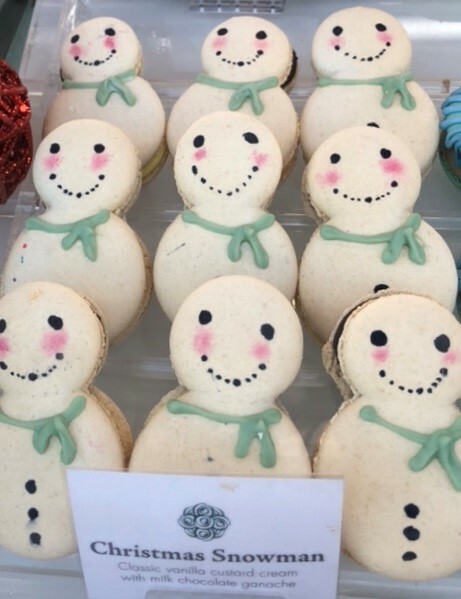 The elves are mischievous and like to play little tricks and games with the kiddos in line- watch out for them! 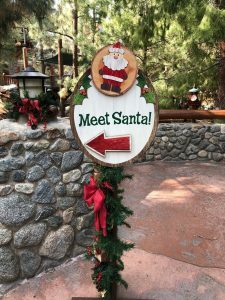 Lines tend to be shorter in November and early December so if your little one does not like to wait in line for too long, it may be a good time to see Santa early in the season. Beginning December 25th through January 8th Santa Goofy will be available in the same location to greet guest, sign autographs and take pictures. A PhotoPass Photographer is on-site and available to take pictures of the experience or you may take as many pictures with your own devices as you would like. 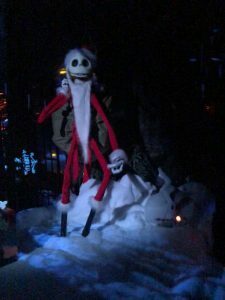 My family and I enjoy this area throughout the year, but the holiday season always makes it a little bit more special. The Redwood Creek Challenge area offers seasonal games and activities for guests to enjoy. The cargo net bridges are adorned with bells and jingle when you walk over them, and Chip and Dale are running around the area wearing festive scarfs. One activity that my daughter enjoyed was the “Treats for Santa”. 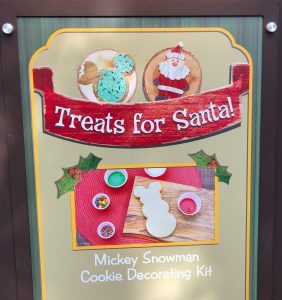 “Treats for Santa” is a cookie decorating kit that you purchase which consists of a sugar cookie in the shape of a snowman with Mickey ears, two small containers of frosting (one red, one white), sprinkles (red, white & green), and a spreading stick. We had fun decorating it but I think she really enjoyed the part when she could finally take a bite of her newly decorated cookie. 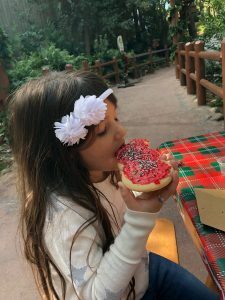 The cookie was good but was it SWEET — talk about a sugar rush! 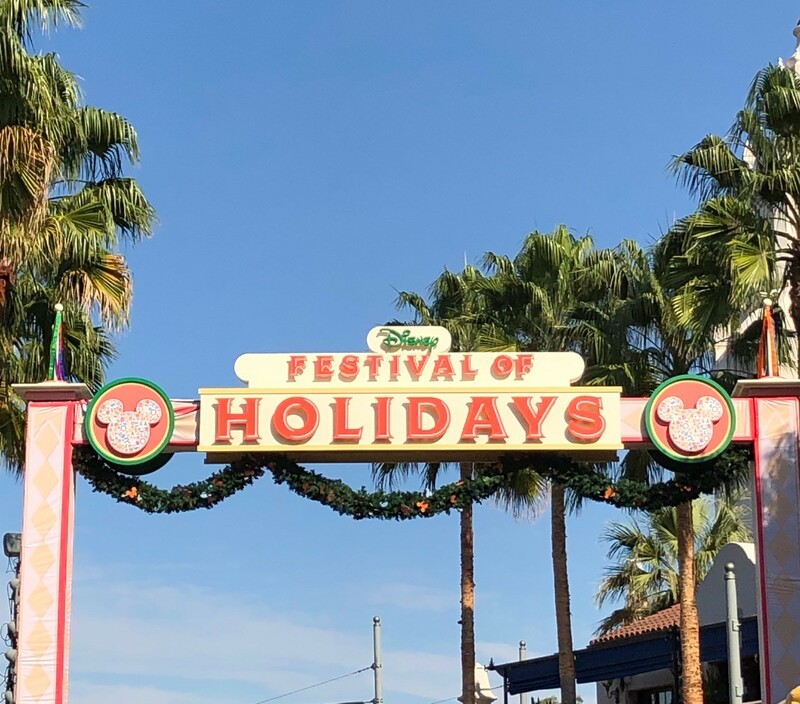 Disney Festival of Holidays at DCA brings to the park music and sounds inspired by many diverse cultures. Enjoy the live entertainment that is located near the World of Color viewing area (across from The Little Mermaid ~ Ariel’s Undersea Adventure). This location offers seating and a nice place to relax and immerse yourself in the multi-cultural sounds and entertainment. Thanks for this! 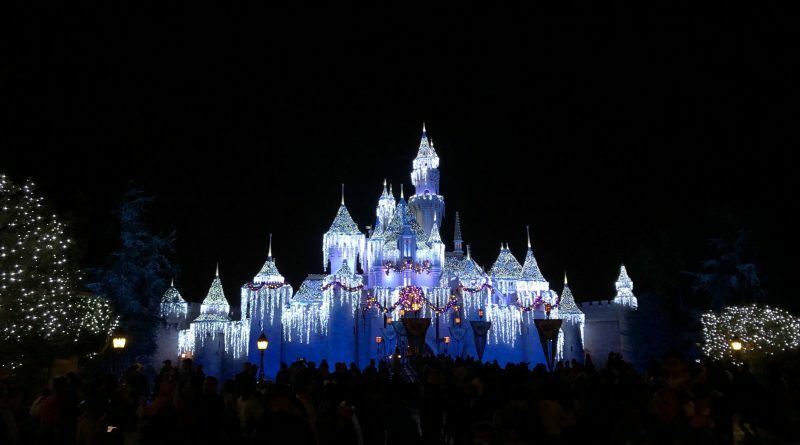 I’m going to be there in a few weeks and see the Christmas season in Disneyland for the first time ever and haven’t looked into much yet, so this is a solid start. 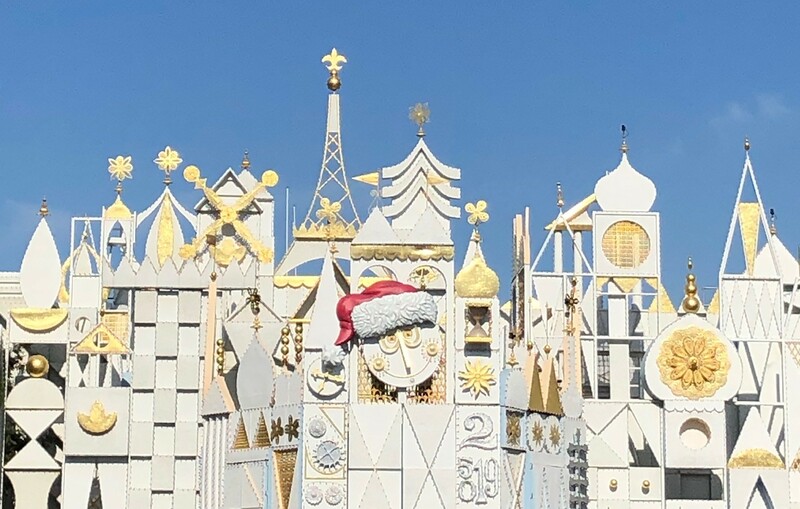 I am so excited for you to see all of the magic the parks have to offer during the season! Have a wonderful visit!